What was the first commercially available wristwatch with the ability to make phone calls? Inspired by wrist-worn communicators seen in sci-fi flicks, Samsung announced the SPH-WP10 in March 1999 as being the world's first CDMA watch phone as well as the smallest and lightest wireless terminal available to date. 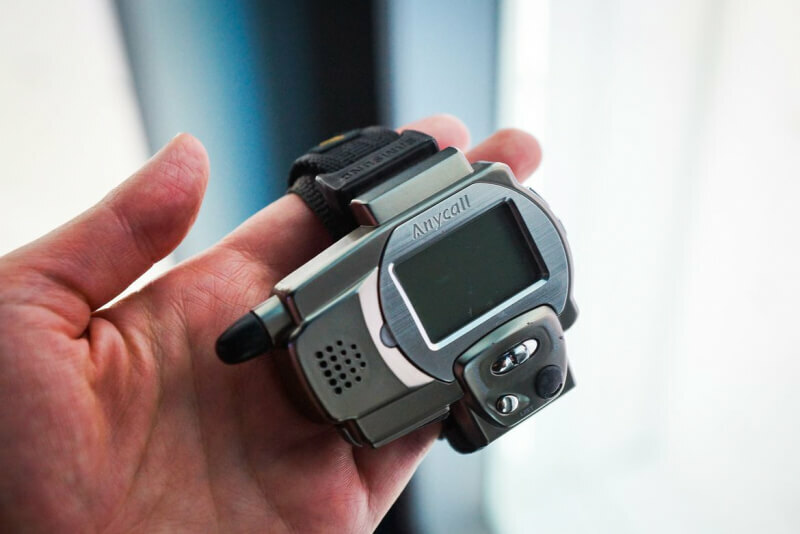 The device was released for approximately $700 in April 2000 featuring a protruding antenna, a 1.5" backlit monochrome LCD, an integrated speaker and mic, support for 90 minutes of talk time and 60 hours of standby, and a total weight of 50 grams including its battery. Only a couple thousand units were sold. Although it didn't have mobile phone capabilities, it's interesting to note that smartwatch concepts go back at least as far as 1975's 'Pulsar Module 1' calculator watch and 1982's 'Seiko TV Watch', which had an integrated display and a Walkman-sized TV receiver to watch analog television broadcasts.